Cole paints everyday surfaces with painstaking detail, trying to capture the textures and patterns that inspire her. She says that part of this is meditative, and part is her Yankee determination. She has also transitioned from oil to acrylic since having her first child which I find interesting since I made the same transition many years ago. She says that since she paints in so many layers acrylic actually makes more sense for her as an artist. While I feel there are many advantage and disadvantages to both media, I feel acrylic best meets my needs at present as well. 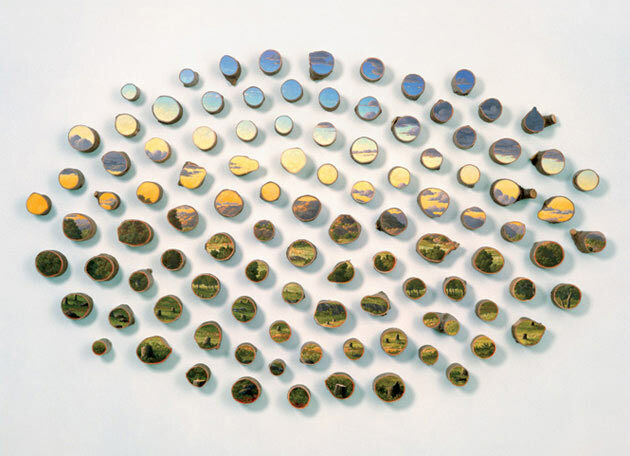 The other artist that a professor of mine suggested I look at this week is Sara Sizer. 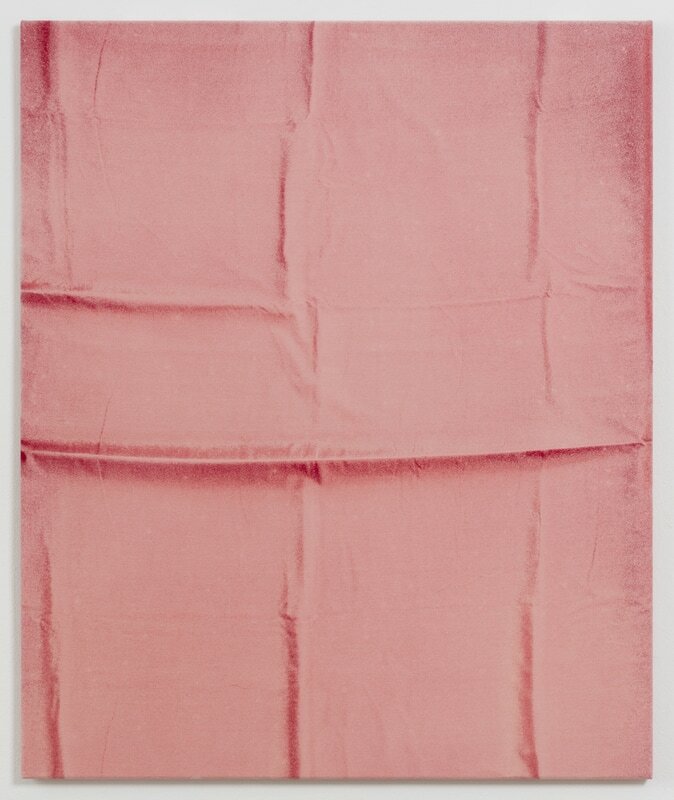 Quite the opposite of Cole's layering paint to create her work, Sizer uses bleach to remove color from the fabric used in her work. Using different colored fabrics made of a variety of material, Sizer has found that the bleach responds differently with each, lending itself to the creation of a variety of colors and textured patterns. Through experimentation Sizer has also refined the process of bleaching the fabric so she can create very large areas of color as well as very refined detailed areas. The result are very simplified abstract paintings that have a glow to them. Some of her work seems to hone in on a subject that the viewer can almost make out, others simply make interesting patterns. Either way it is enough to intrigue the viewer to draw closer and investigate. I hope to do just that this summer. Sizer shows her work in Berlin, Germany where I will be participating in a study abroad program this summer, so I hope to see her work first hand. 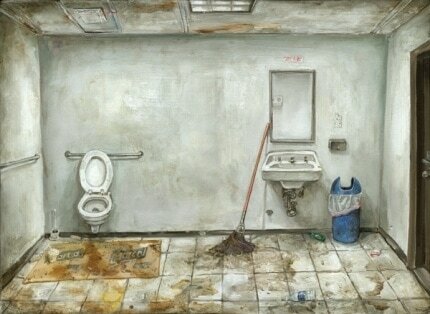 While exploring the use of the mundane as subjects I came across artist Jeffrey Cortland Jones. Typically pegged as a "white" painter, Jones tried to capture the variations of warm and cool, matte and glossy, painting white blocks on top of white blocks. creating a composition of subtle shades of white that aren't white at all. I am considering his work a variation of the mundane because his inspirations come from everyday scenes that can be broken down into a color block system. Working mostly on a small scale, Jones attempts to create an intimate experience for his viewer. In his under graduate work he was working on a monumental scale, since he was being told that "bigger was better." After viewing a painting by Anselm Kiefer in person though, Jones reconsidered the issue of scale. He was highly disappointed that he could only get close enough to experience about a third of Kiefer's painting. He decided then that he wanted his viewer to be able to come up close and experience his work in it's entirety without the possibility of someone walking between the viewer and the work. An interesting way a to look at the question of scale. Upon exploring Jones' website I discovered that, in addition to painting, he is also an avid photographer whose photos are without a doubt a launching point for his paintings. Focusing on the play of shapes and colors, light and shadow, even his photographs lend themselves to the simplicity of color block images. Several of his works are images very similar to my own, depicting the beauty of shapes and textures found in ugly, over looked places. 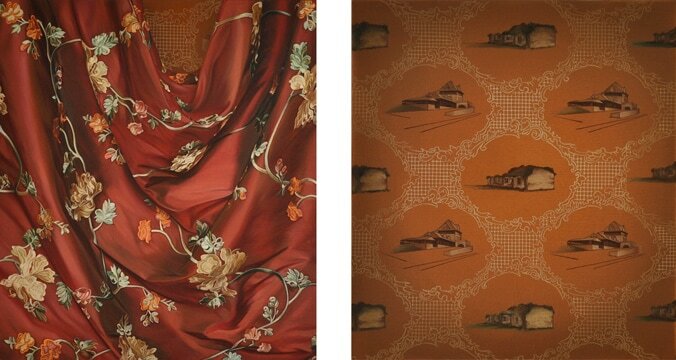 Another artist that a friend suggested I check out is painter Alison Moritsugu. 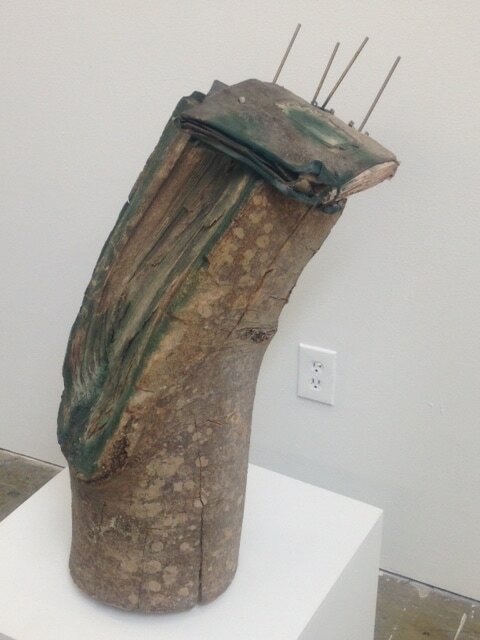 Moritsugu is a Hawaiian born artist who strives to communicate the importance of how we look at and treat our environment and natural resources but depicting landscapes in the Hudson River style on actual tree stumps and logs. Moritsugu creates a tension in her idyllic pastoral and landscape images by painting them on fallen logs - the very thing she is depicting. This juxtaposition forces the viewer to consider not only the beauty of the natural landscape, but also the evidence of its destruction. In addition, she is creating a very traditional two-dimensional painting on a three-dimensional surface that often deconstructs the the image - something that I have been exploring with my multi-panel paintings. 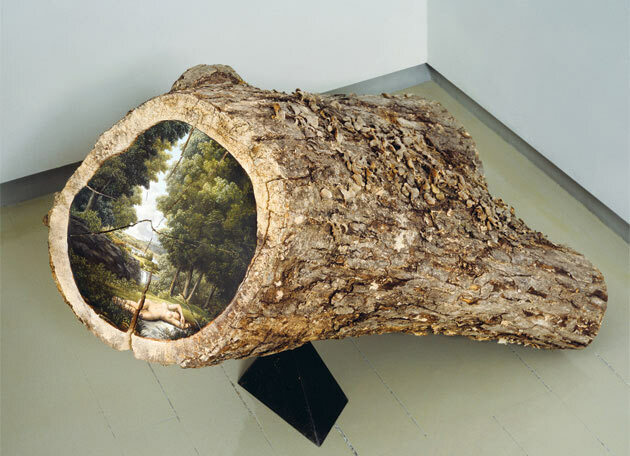 When Moritsugu paints on multiple log surfaces she also activates not only the the area between the logs, but also the viewer's space since the logs protrude from the wall or the log itself. Alison Moritsugu manages to create a variation of the mundane - a landscape - that forces the viewer to consider the innate contradictions that exist between the image and the materials, and the flat image surface that is depicted sculpturally on the very subject she is painting. A very interesting variation indeed. 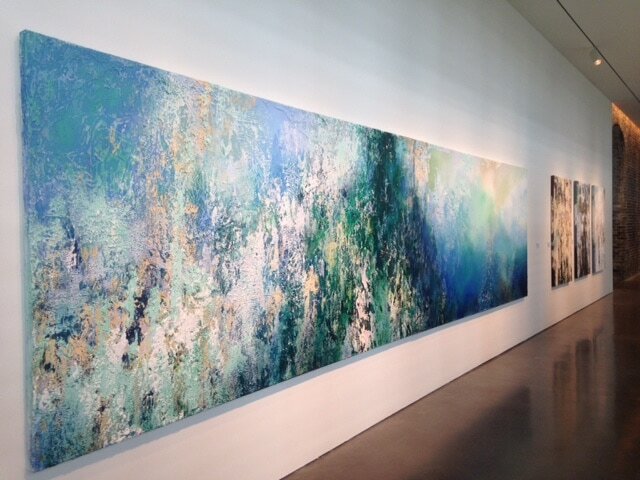 Last weekend I had the opportunity to visit the SCAD Museum and see the work of Jose Parla in person. 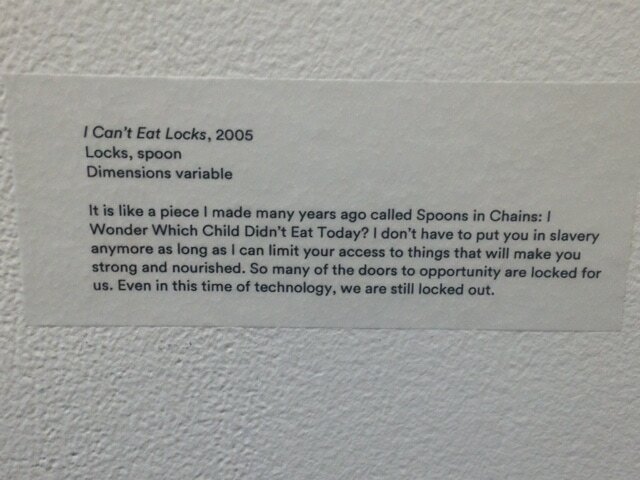 I can't emphasize enough the difference it makes to see artwork in person as opposed to in a photograph, or on line. I keep going through pictures, both on line and on my camera to find some that really capture the feel of his work, but pictures just don't do them justice. What you can't see in even the best pictures is the heavy impasto and textures including broken pieces of stone and concrete that embellish both his paintings and his sculptural work. The textures add an element of depth and physicality to Parla's work that just doesn't translate in a photo. Parla's artistic roots go back to a childhood as a graffiti artist on the streets of Miami. Today his work sells for as much as a million dollars and adorn places like the world trade center in new York. Harkening back to his roots, his work is composed of many layers of color and texture that resemble city walls littered with posters, advertisements and graffiti. Using a variety of colors painted one over the other creates a visual noise that is reminiscent of the city streets he is representing. Parla also often includes layers of calligraphic lettering in his work. While the words are not legible, they are definitely beautiful and entice the viewer to explore a little more closely in order to figure out some sort of secret. 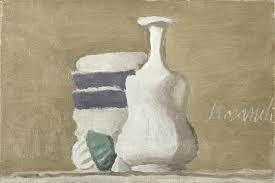 The elegant curves of his work compliment the thick layers and hard textures. Seeing the textures in Parla's work first hand was a real treat, especially since I have been experimenting some with the use of impasto in my own work. I enjoy building up modeling paste on the surface of my work, but worry about keeping a balance so the texture doesn't overtake the painting. One of my recents works using some texture. 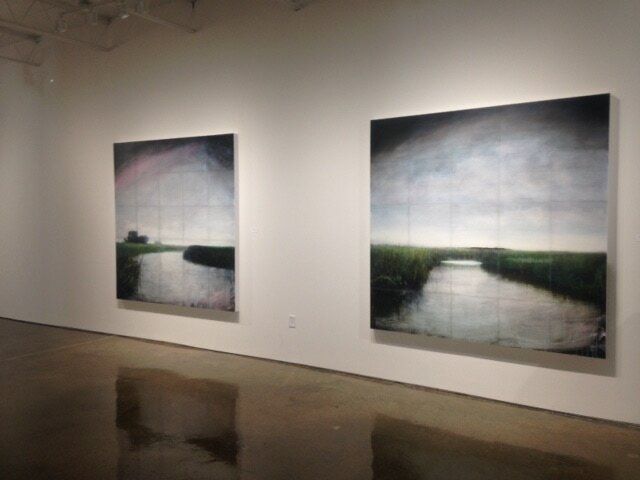 In contrast to Parlas' work, I have also recently been exposed to the work of painter Susan Lichtman. Lichtman uses a very limited palette to create her colors and values, and often limits the values as well except for emphasis. She uses what she calls "red herrings" in her choice of value and color. By this I mean that she paints most of the painting in a very limited value range and emphasizes a few surprise areas with bright values and colors. She typically like to keep the actual figures somewhat obscured so the viewer slows down to move through the painting. You are drawn in by the highlighted area, and led to explore the dark to see what else is happening. 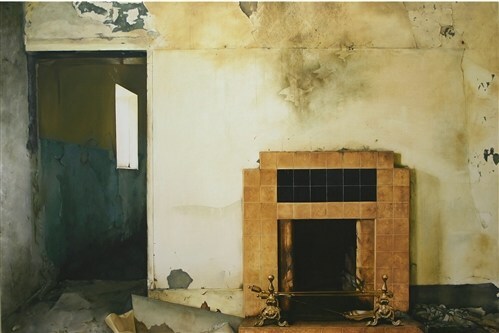 Lichtman works both from life and from memory to create fictitious interior narratives. She refers to them as fictitious because they are based on people who have come and gone from her home, but the scenes she depicts have never actually happens. Often she will even us blurred lines to imply movement and the passage of time in her work. Lichtman paints areas of flat color with values strategically placed beside each other to create a sense of depth and movement that is quite surprising under such constraints. Surprisingly she starts her paintings focused on a small detail, typically a still life that interests her and builds the composition around that, working specific to general as opposed to the way most artists work - general to specific. I think one of the things that draws me most to Lichtman's work is that it seems to be about the mundane. Simple spaces of everyday life approached in a simple way that draws the viewer in to make them want to know more of the story. While Lichtman uses a figurative narrative in her work, I prefer to simply allow the viewer to consider the space itself and bring to it whatever preconceived ideas they may have, and consider whatever narrative they may begin to imagine. All of these concepts seem to be in stark contrast to Jose Parla's work, but I am intrigued but both artists none the less. 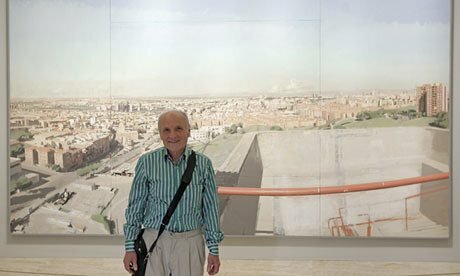 ​In December I had the opportunity to attend several of the Miami Art Fairs. This was an amazing experience that allowed me the opportunity to see an amazing array of work from around the world that are created using some of the most unusual processes. 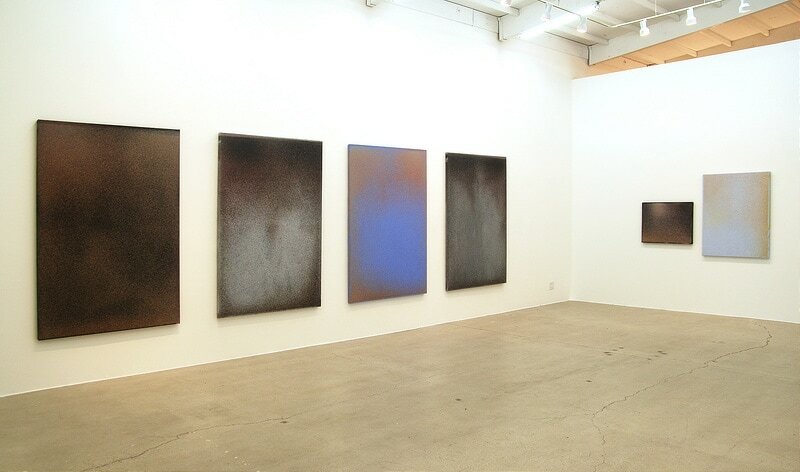 When I first came upon David Knuth’s work at the Untitled show in Miami I was drawn to the simplicity of the images. They appeared to be large areas of gradating color fields that met at a sort of horizon line. They seemed to fall somewhere between a landscape and abstraction. To me they had a simple beauty to them. Upon closer inspection, Knuth appeared to have used a pointillism technique to create these large paintings which seemed rather labor intensive considering the scale of the work and the size of the small dots that composed it. As I was examining his paintings I overheard the gallery curator explaining to a potential customer how Knuth created the works – with a little help. As it turns out, Knuth enlists the help of hundreds of thousands of house flies! Knuth feeds the flies a concoction of sugar water and watercolor paint. The flies are contained to particular areas on the painting where they then regurgitate the paint onto the surface of the painting creating these tiny dots of color. The mark is called a flyspeck. The paintings are comprised of millions of little dots created by the flies all over the surface of the canvas. Although the artist does controls what colors the flies use, and what area they have access too, he also leaves quite a bit to chance when depending on his many assistants. The lesson I learned was to inquire! Although you may think you have an idea how something is made, you may very well be completely shocked to find out how misinformed you really were. When I ran into a friend later and told her about Knuth’s work she didn’t believe me until she spoke to the gallerist herself. I don’t know that I would ever use flyspecks in my work – at least not on purpose, but it was a very interesting lesson about the techniques and processes artists use. This week I want to talk about a couple of photographers whose work I have been interested in. While I enjoy taking pictures of interesting places and things, especially when the light hits the subject "just right," I have never been able to view myself as a photographer. I don't know quite why that is. It probably has to do with the fact that I often feel compelled to later paint the image I photographed. As I was doing some research for recent paintings I came across photographer Todd Hido's work. 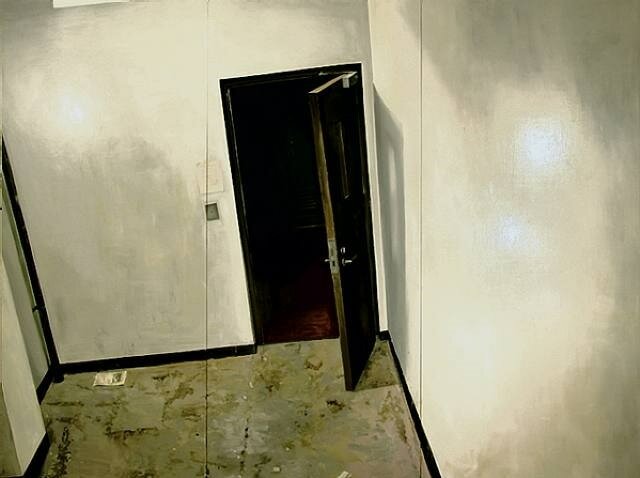 While Hido works with a variety of subjects, I find myself intrigued by his vacant interiors and obscure exteriors. I have also been directed to look at the work of photographer Uta Barth's very simplified images which exude an abstract beauty that tends to be less common in photographic compositions. ​I’m not sure what it is that attracts me to Todd Hido’s work. Perhaps the ambiguity of the subjects is something that intrigues me. Many of his exteriors are random apartments or houses that are photographed at night. There isn’t anything extraordinary about them – they could be any house in any neighborhood that you’ve driven past a thousand times. Many of the works that interest me are shots with dramatic lighting and a sense of atmosphere that is created with a combination of color and light. One of the physical qualities that results from his use of light is a sort of simplification of the subject. The buildings and vehicles become more like basic shapes with an emphasis on some of the extreme lights and darks. 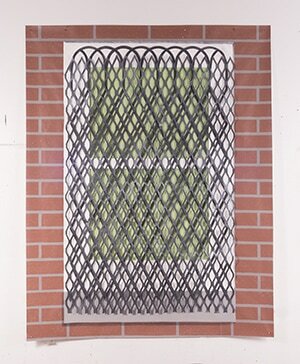 These physical characteristics result in ambiguous images that can leave much interpretation up to the viewer. Hido approaches his interior photos in much the same way. They aren’t about what’s there, but almost more about what is missing. Dingy empty rooms. Is your glass half empty, or half full? Is this a place that is full of anticipation and hope, or of sad memories and broken dreams? It’s nothing, but every viewer walks away seeing and feeling something different. As one who likes to paint spaces like this I enjoy the various levels of information. There are dark areas that seem void of information or like something is hidden there, other places have piles of dirt, or trash that create small areas of visual interest, and often there are empty windows that fall somewhere in between. To me so much of his work relies on the mood of the viewer. The images could easily be regarded as irrelevant common areas. They could be viewed as voyeuristic and creepy, or they could also be seen as nostalgic and beautiful. As one who has always been intrigued by the play of light and shadows, I feel this is one of the primary things that attracts me to both Hido’s work, and that of photographer Uta Barth. Barth uses a different approach to her work, but accomplishes many of the same effects. Like Hido, Bart also uses light and shadow to create important compositional elements in her work. Many of her photos are entirely, or almost entirely about the shapes created by shadows. While some of her work includes parts of the photographer like a hand holding a curtain, or a foot at the bottom of an image where the shadow of a body is cast, I feel that her most successful work happens when the image remains more ambiguous and just allows the shadows to create lines and patterns. 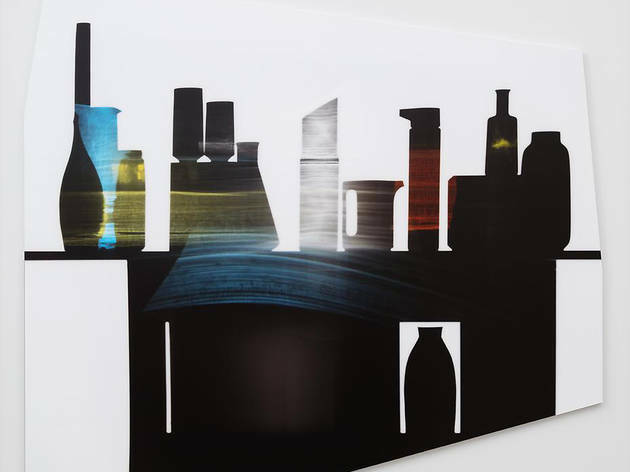 A fan of Morandi's still life work, Barth also has a series that utilizes the reflective qualities of colored glass bottles reflected on a wall to create her images. ​I find her use of indirect images intriguing. I am one who has always appreciated these images myself, but haven’t seen them represented as the primary subject of artwork this way before. Like Hido, Barth uses parts of common images to create beautiful minimal work. 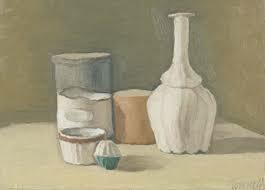 Her simplistic subjects sometimes reveal themselves, but other time they remain obscure. I think the simple lines and soft lines are what make her photos quite unique. Typically photography provides clear realistic images as opposed to those modifies by a painter, but Barth manages to use photography to capture very minimal abstract compositions that often require the viewer to look a little longer to work out the details.